Experience a fun adventure in Green Bay with Segway the Fox tours, a locally owned entrepreneurial company that offers guided tours throughout Northeast Wisconsin on ultra smart, ultra cool Segways. Invented by Dean Kamen, these awesome machines are officially called the Segway Human Transporter, the first self-balancing, electric-powered transportation machine. The Segway Human Transporter is a personal transport device that uses five gyroscopes and a built-in computer to remain upright. They are amazingly simple to operate. Our group of four started out with a few quick lessons taught by our trainer and tour guide, Al. We learned how to control our Segways, turn, and stop. Then we went over some things you might need to know when out on the road, like directional signals for the group and etiquette for pedestrians. 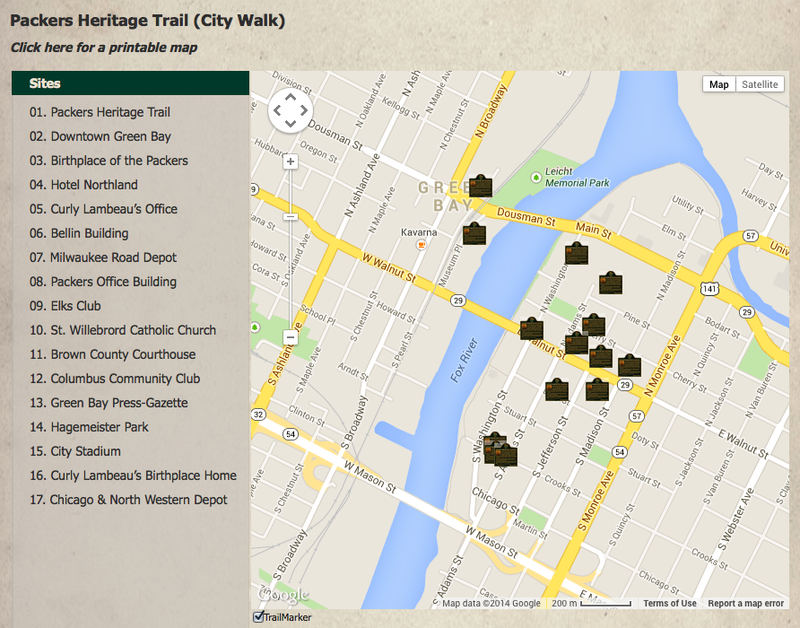 In just a few minutes, we started out on our adventure, The Packer Heritage Trail in downtown Green Bay. Al was a veritable gold mind of Packer knowledge. Al is someone who genuinely loves his job which is evident by all the stories of ancient Packer history he talks about during the tour. I suggest looking over The Packer Heritage Trail website before taking the tour to familiarize yourself with it all before you go. A little bit of reading ahead of time is bound to enrich your experience. Along the way, we zipped along the river walk, went over bridges, through underpasses and basically blanketed the older section of Green Bay. We were able to see more in one hour on our Segways than we could have seen in several hours, if walking. The minimum age and weight allowances are 11 years old and 70 lbs. The parent company, Glide N.E.W, also operates Segway the Door with tours in many localities, Penninsula State Park, and even a 5-hour tour to Washington Island that includes the ferry ride to the island and lunch. Watch for it! We plan to do a Segway the Door tour next.